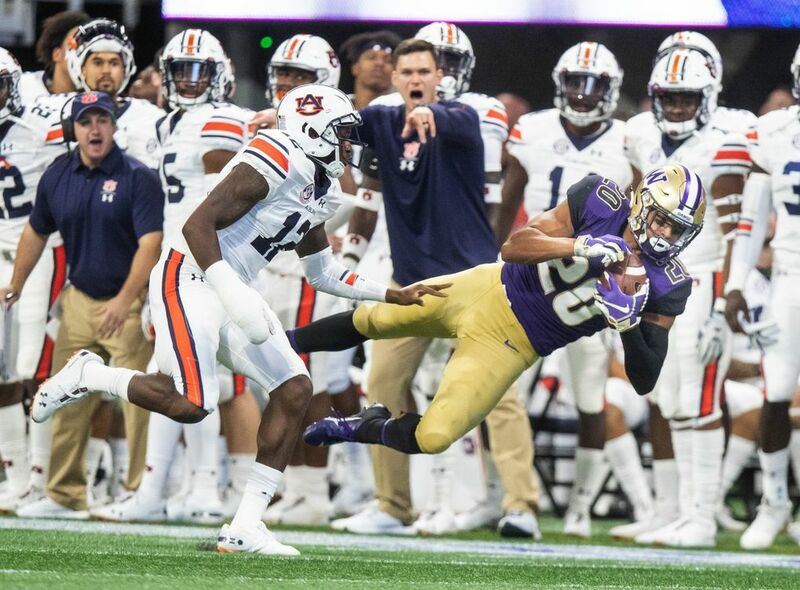 Missed chances, big plays from receivers and red-zone deficiencies were the story in the UW Huskies' loss to Auburn in the Chick-fil-A Kickoff in Atlanta. 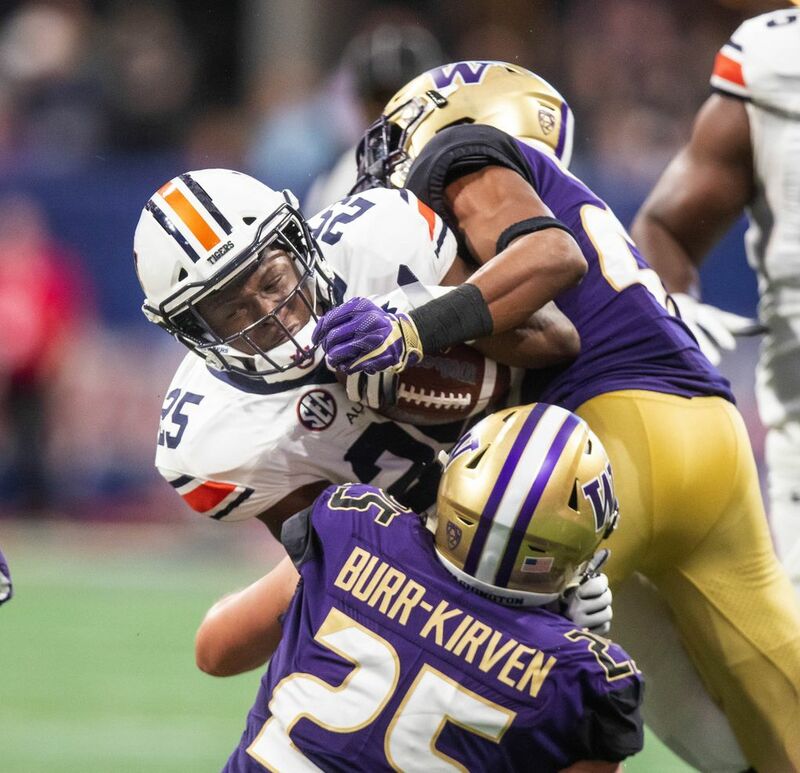 After a slow start, the Huskies controlled the game for much of the second half, but were ultimately undone by two turnovers — Auburn had none — and a penalty that negated a third-quarter touchdown. 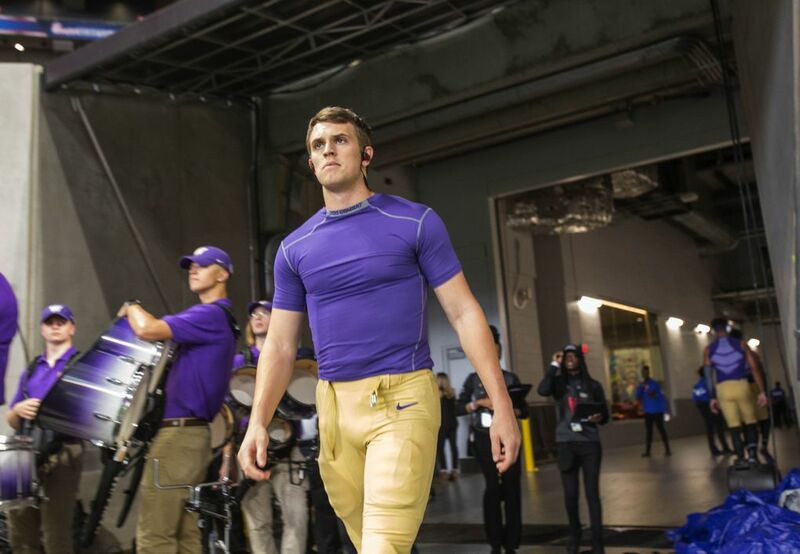 Jake Browning threw an interception in the first half — in an apparent miscommunication with sophomore tight end Jacob Kizer — and the senior quarterback lost a fumble in the third quarter when he was hit in the back just before he was going to attempt a pitch to Salvon Ahmed inside the Auburn 10-yard line. 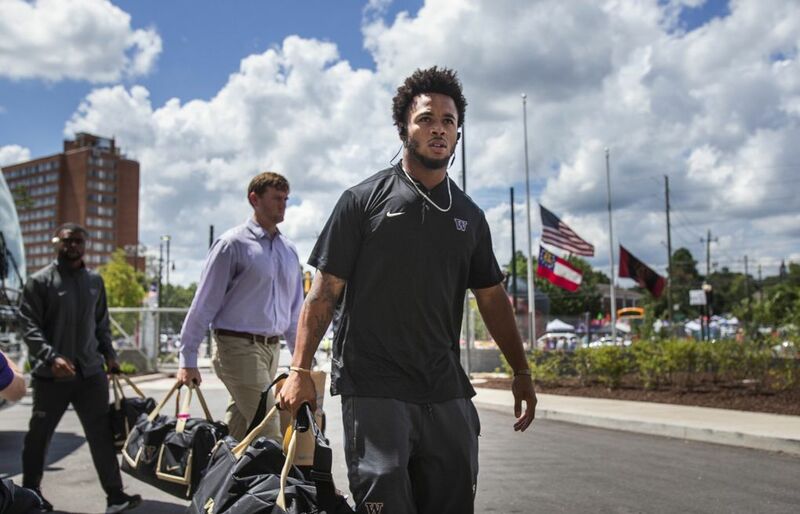 The Tigers recovered. 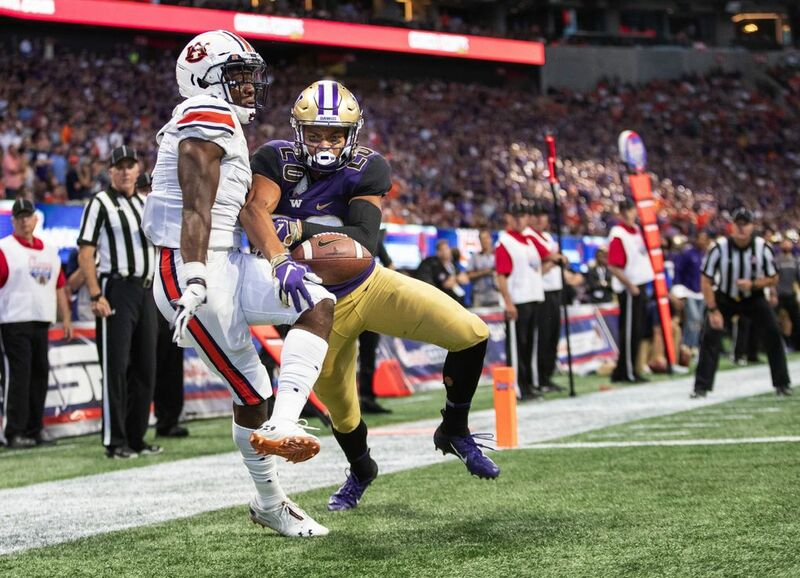 The Huskies had a touchdown taken off the board in the third quarter when receiver Andre Baccellia was flagged for a pick-play pass interference. 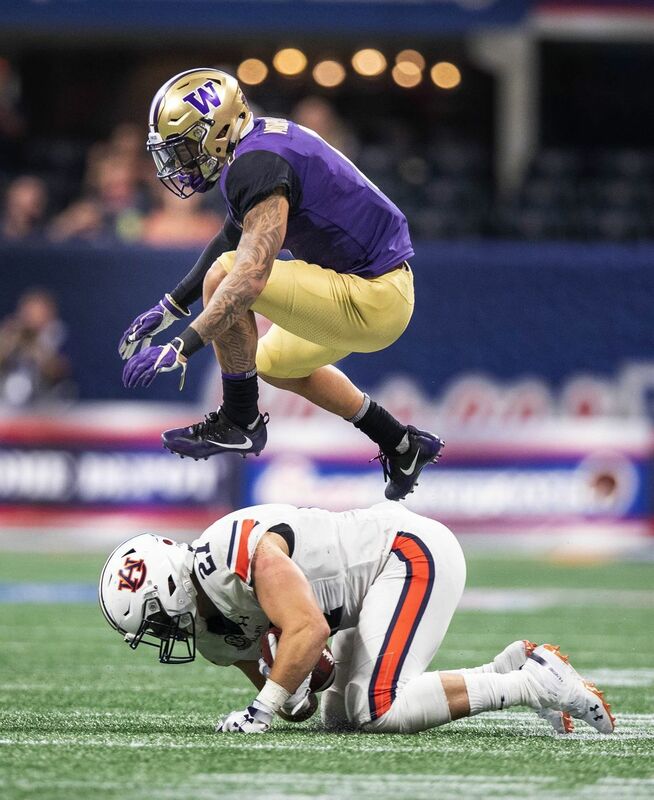 That pushed the Huskies back 15 yards to the Auburn 23, and two plays later Peyton Henry missed a 40-yard field-goal attempt, squandering a prime opportunity for the Huskies to take the lead. 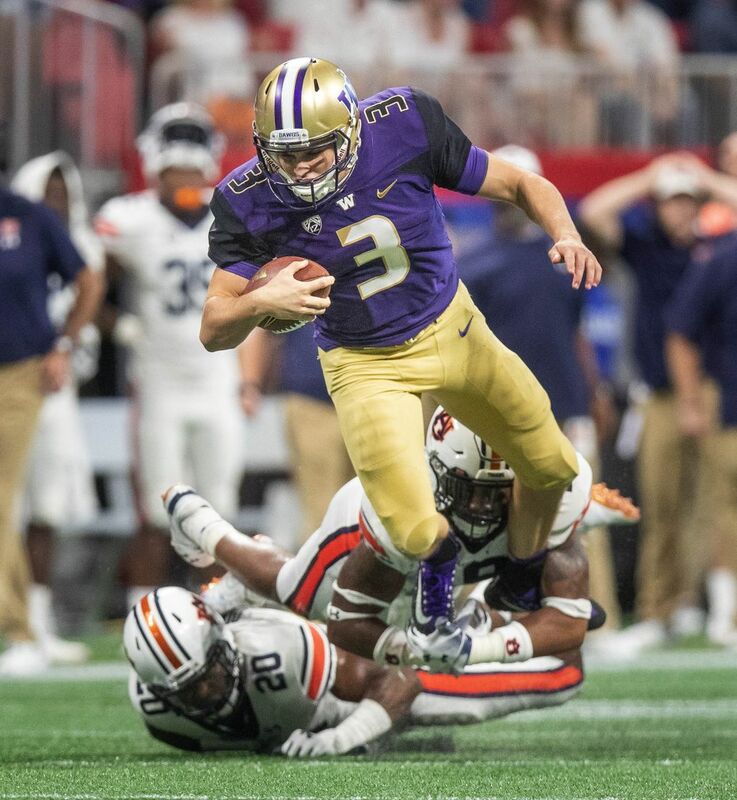 On their final drive, the Huskies got to the Auburn 37-yard line after Browning scrambled on third down for a 13-yard first down. 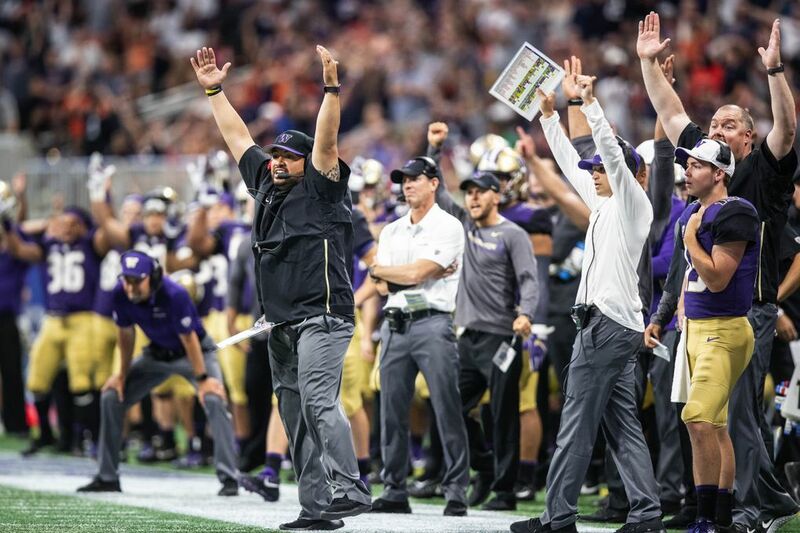 But he was sacked on third down and sacked again on fourth down, effectively ending the Huskies’ last best hope. 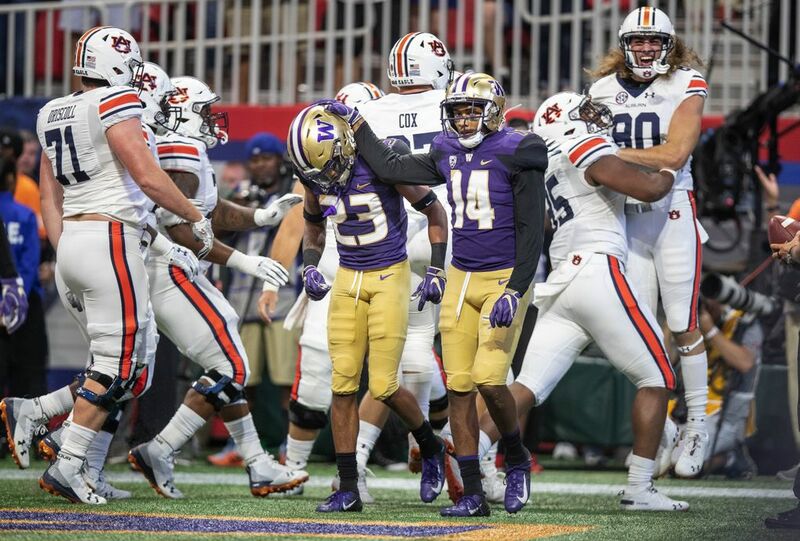 The Huskies had led 16-15 in the fourth quarter until Auburn drove 76 yards on 10 plays, taking the lead on JaTarvious Whitlow’s 10-yard TD run with 6:15 left. 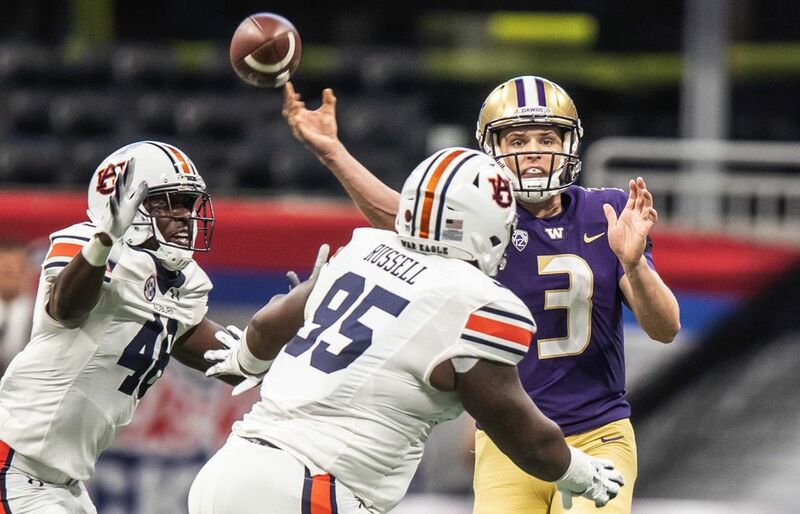 Early in the drive, the Huskies had Auburn backed up in a third-and-9 situation, but Jarrett Stidham was able to find tight end Chandler Cox for a 12-yard conversion to continue the drive. 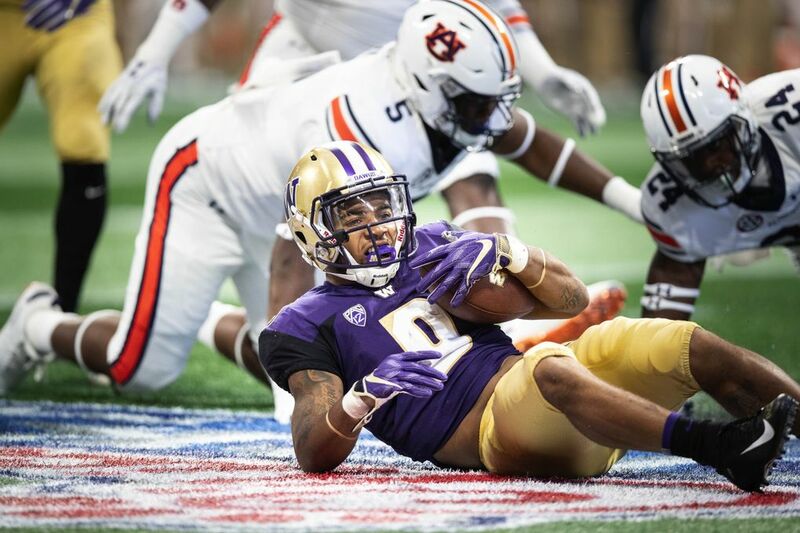 The most pressing question about the Huskies’ offense coming into the season was its wide receivers and whether the passing attack could bounce back from a subpar 2017. They largely answered those questions. 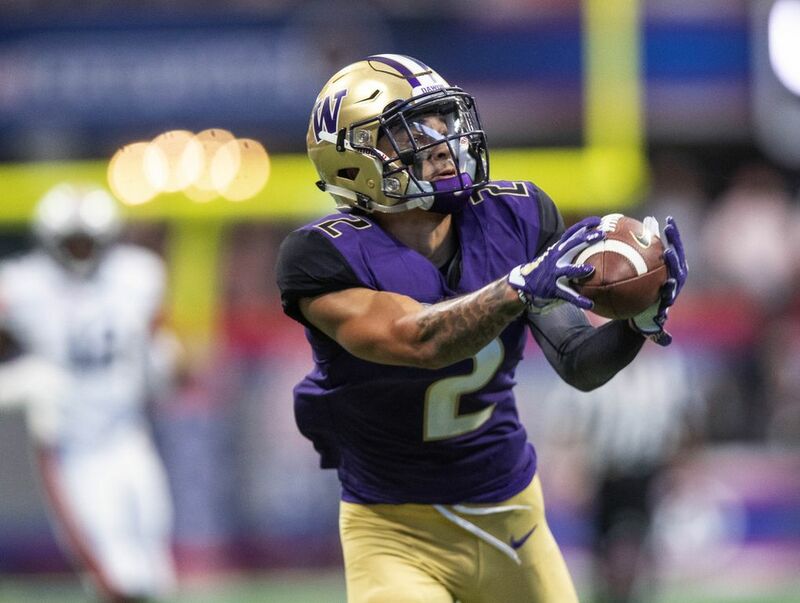 Junior Aaron Fuller had career highs in catches (seven) and yards (135) early in the fourth quarter, and junior Quinten Pounds made an improbable one-handed, over-the-shoulder grab for a 13-yard touchdown reception from Jake Browning in the second quarter. 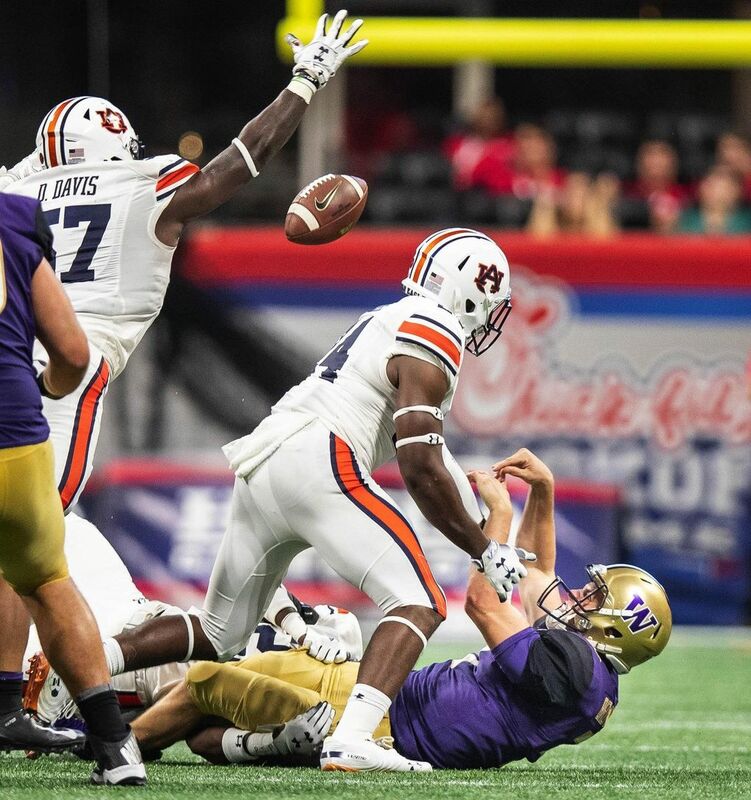 That capped a four-play, 75-yard, 40-second drive — all through the air — to cut Auburn’s lead to 15-13 at halftime. 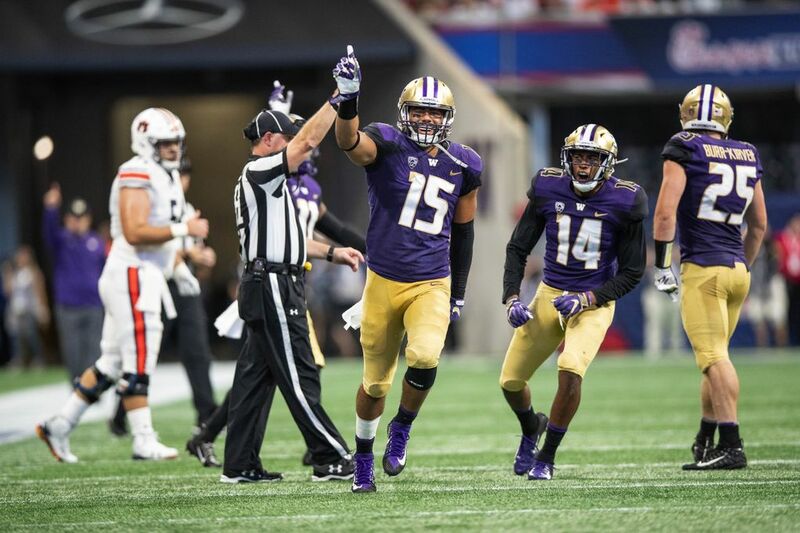 Ty Jones, UW’s 6-foot-4 sophomore, also came up with some big plays, finishing with three catches for 77 yards. 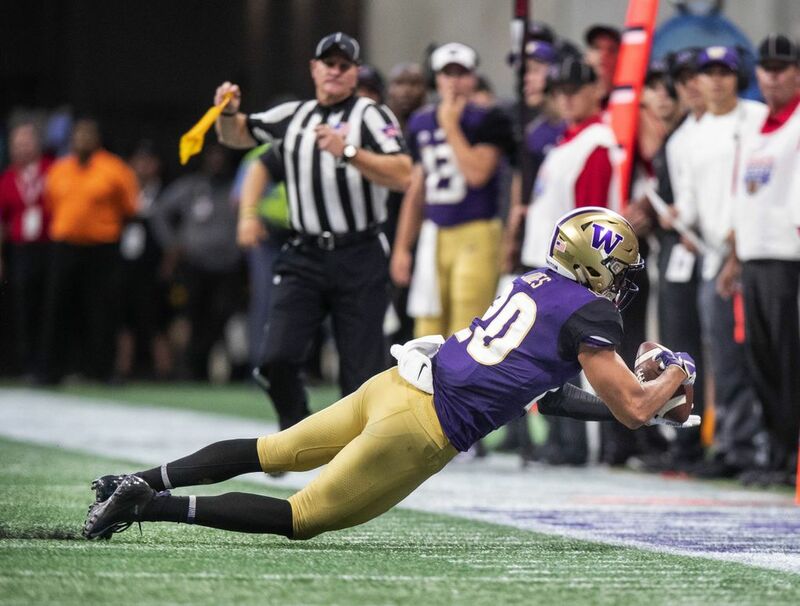 Departed standout Dante Pettis led the Huskies with 63 catches, 761 receiving yards and seven touchdowns last season, finishing with 37 more catches, 470 more receiving yards and four more touchdowns than the next-best wide receiver. That’s a lot of production to replace, but it wasn’t a problem. 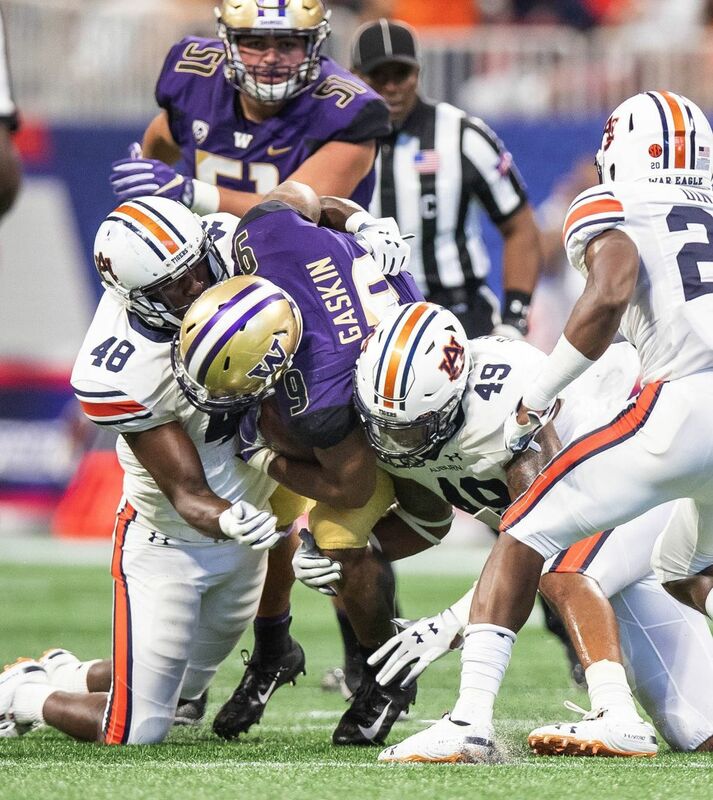 Unsurprisingly, Washington — without All-American left tackle Trey Adams — was unable to run consistently against Auburn’s vaunted front seven. 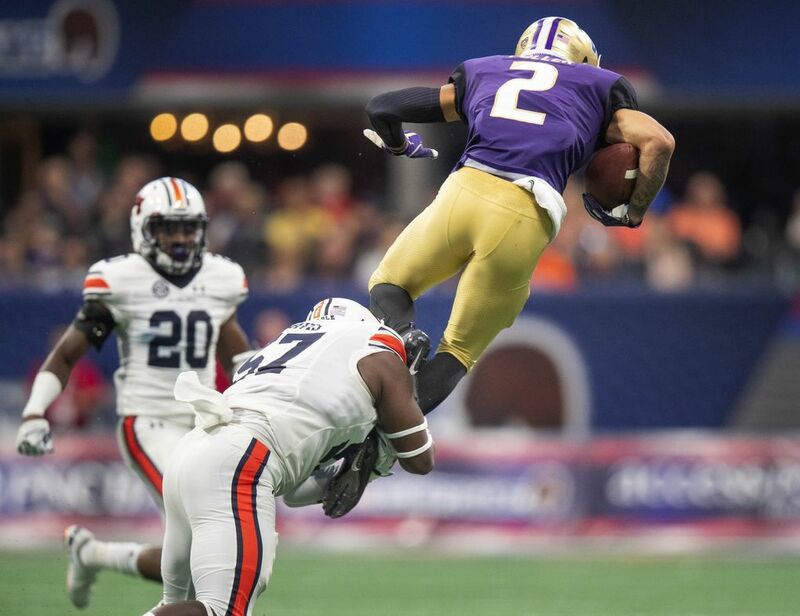 But Browning was able to repeatedly attack the Tigers’ inexperienced secondary, and his wide receivers were a big reason why. 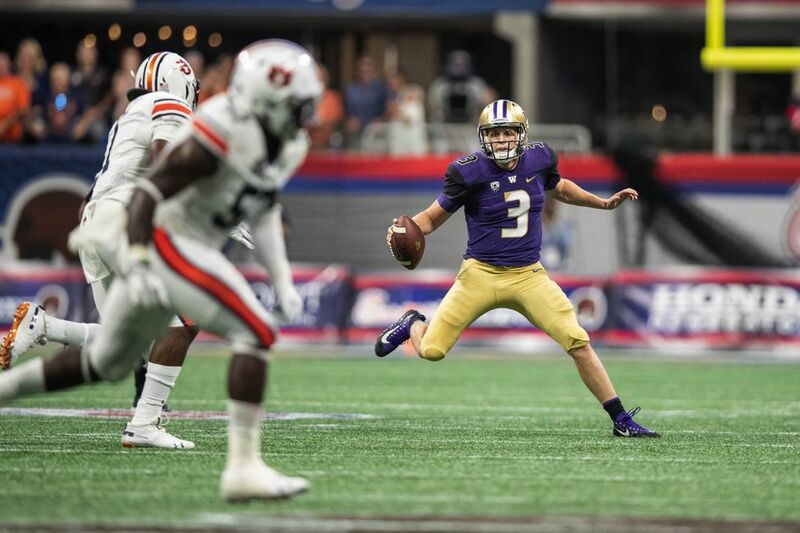 Henry, the Huskies’ left-footed redshirt freshman walk-on kicker, converted 3 of 4 field-goal attempts in his UW debut. 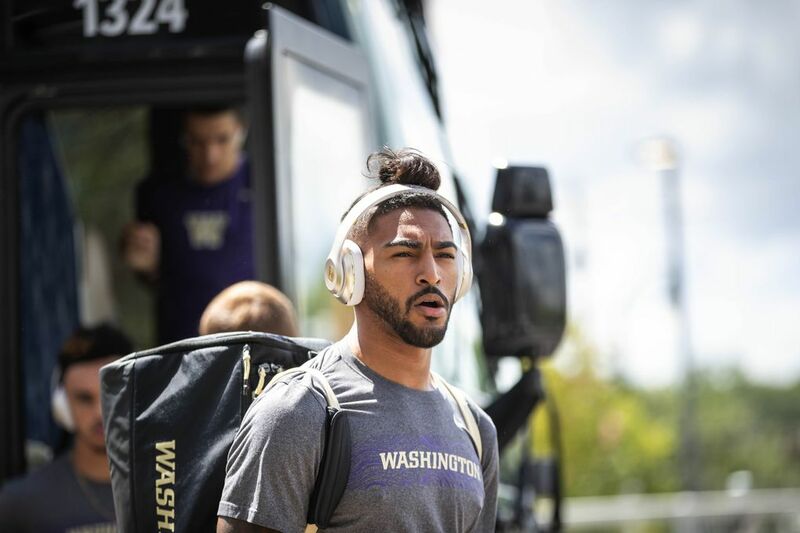 His third make, from 30 yards early in the fourth quarter, deflected off the right upright and fell through — giving the Huskies their first lead of the game at 16-15. Henry wasn’t the only newcomer to step into a significant role. 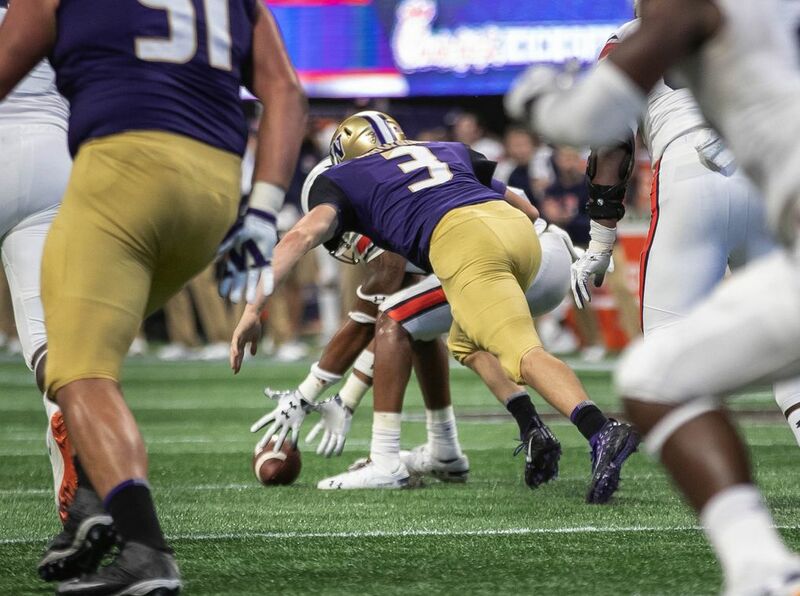 With preseason All-American left tackle Trey Adams out with a back injury, the Huskies had two nfirst-time starters on the offensive line: junior Jared Hilbers at left tackle and redshirt freshman Jaxson Kirkland at right guard. They could have. Some probably expected them to. After all, consider that first quarter. 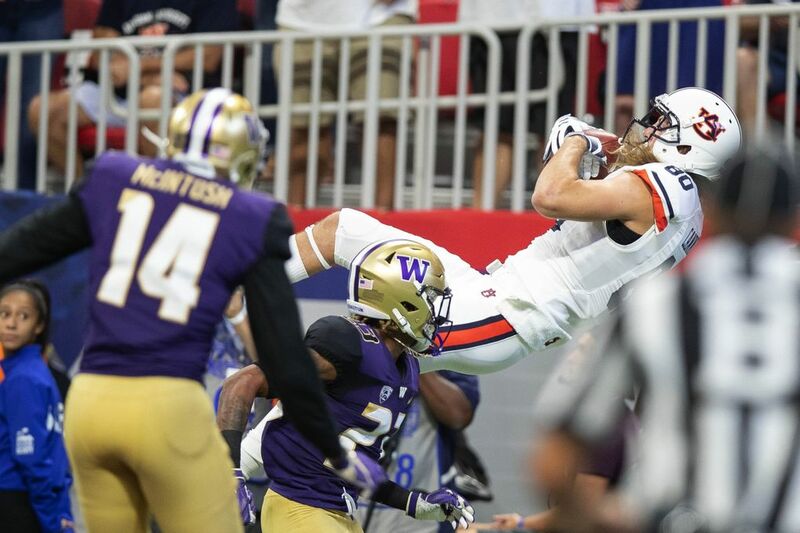 In the opening 15 minutes, Stidham completed 10 of 12 passes for 135 yards, with the highlight being a picturesque 10-yard touchdown strike to tight end Sal Cannella. 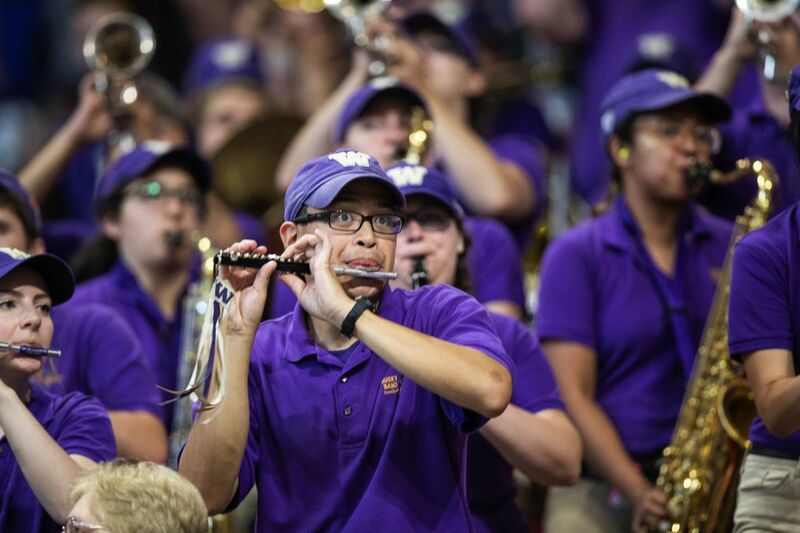 The Tigers outgained the Huskies, 161 to 68. 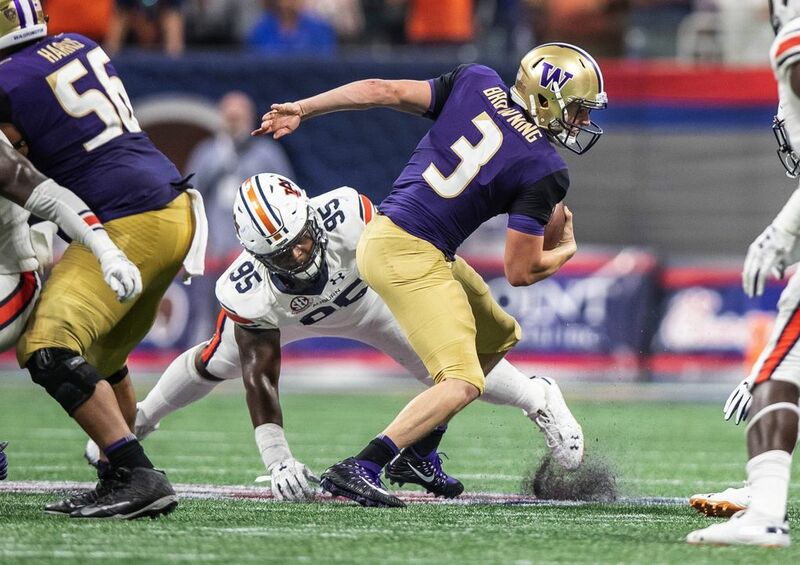 Washington quarterback Jake Browning threw a costly interception and Auburn went 3-5 on third down. Oh, and as expected, Mercedes-Benz Stadium was positively drowning in Auburn orange. 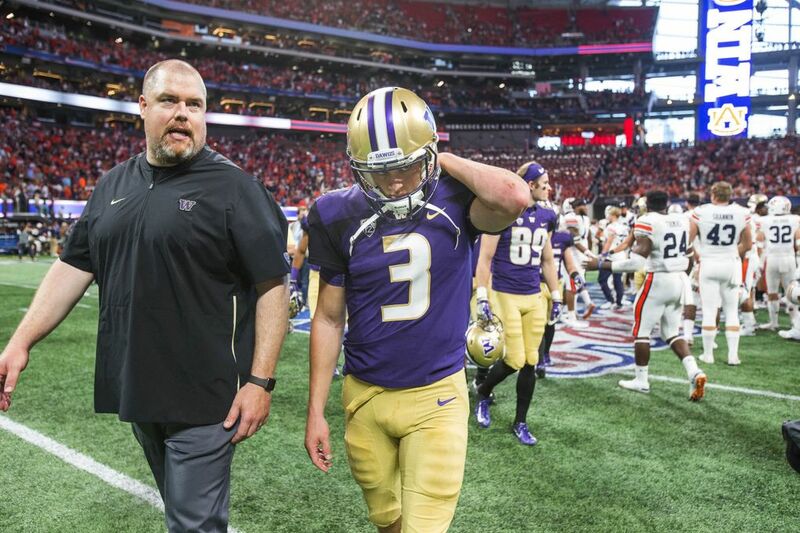 It had all the ingredients of a season-deflating shellacking. 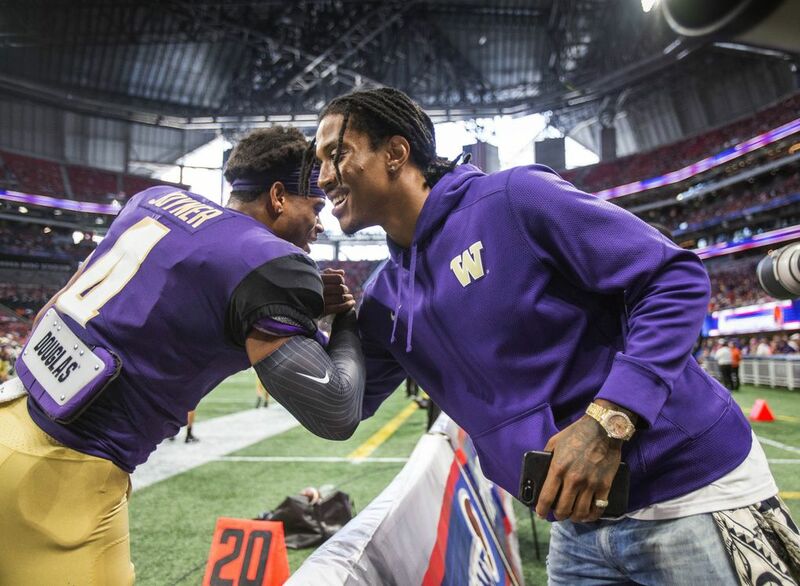 And yet, the Huskies answered. Browning answered. 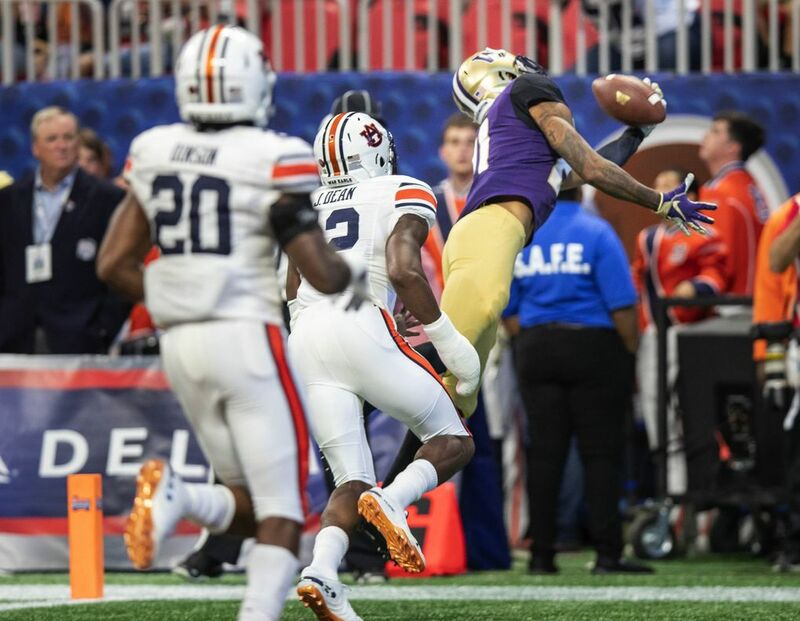 Washington’s as-of-yet unproven wide receivers answered. 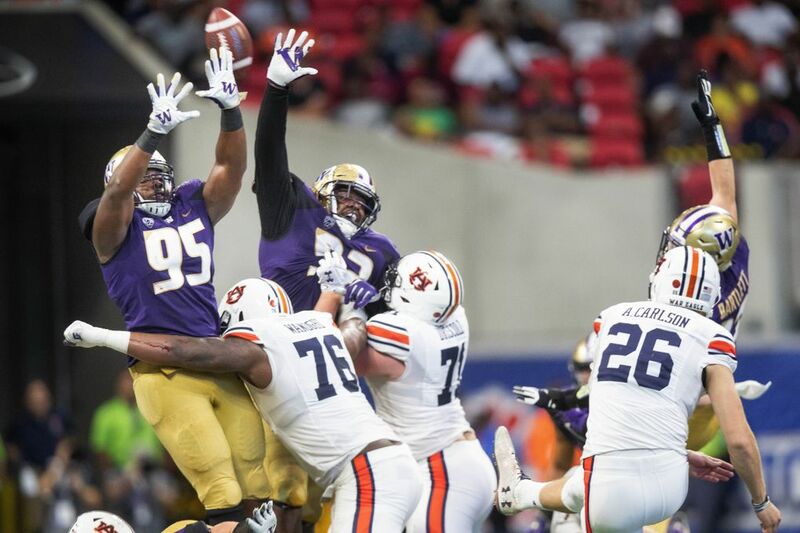 In the red zone, the Husky defense answered. 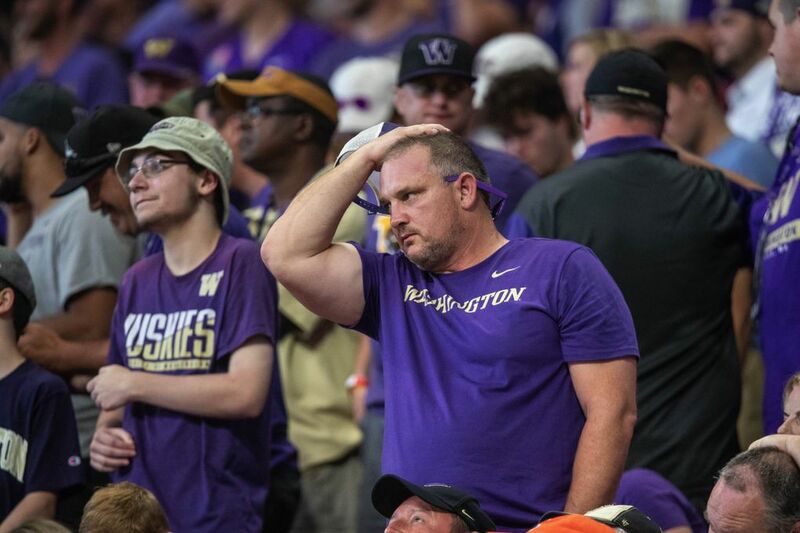 The first quarter was, indeed, a nightmare. But the Huskies woke up. The closer they were, the harder it got. I don’t really need to get more specific, because that observation applies to both sides. 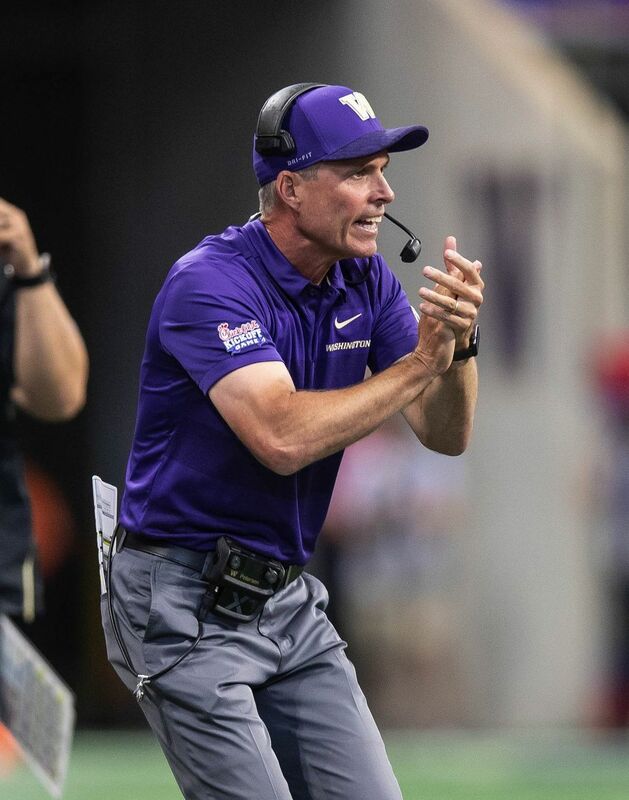 Washington scored a touchdown just one time in six red zone trips on Saturday, and that also included a lost fumble and a missed field goal that resulted in zero points. Likewise, Auburn entered the red zone in each of its first four drives and managed a touchdown just once as well. 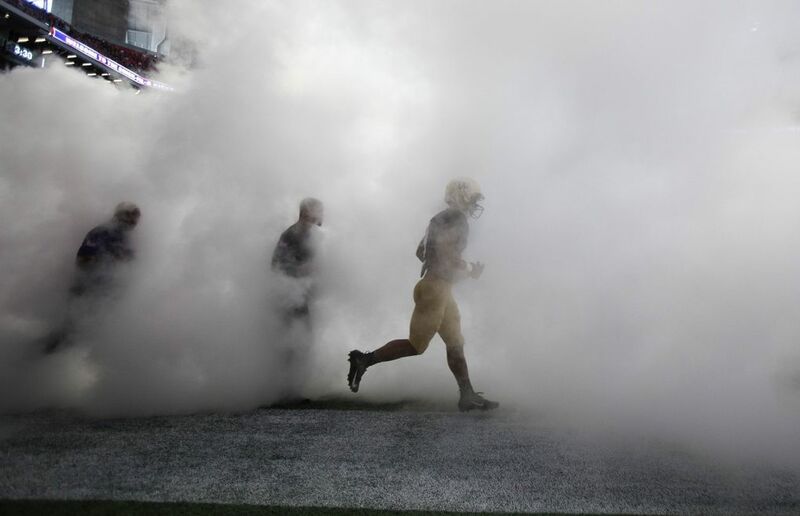 The Tigers also failed to convert a pair of two-point conversions. 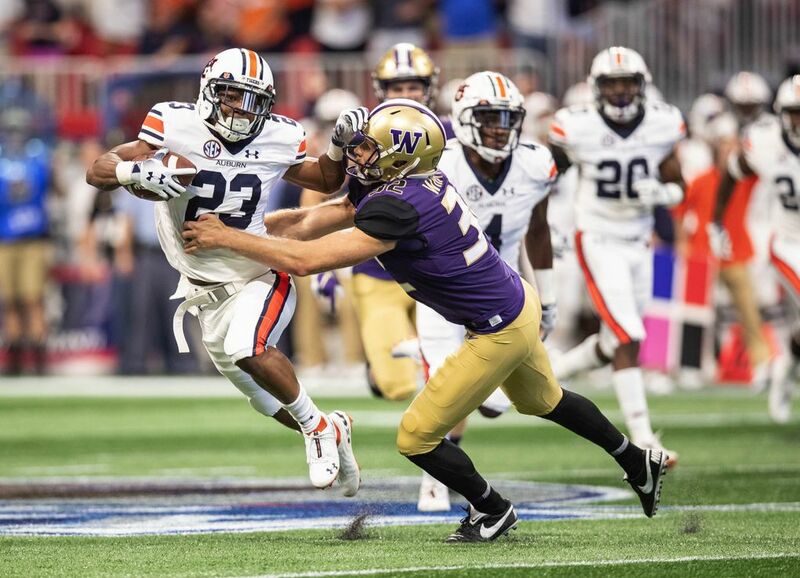 Auburn broke through when it mattered, though. Trailing 16-15 with 6:15 left in the fourth quarter, running back JaTarvious Whitlow took a hand off, burst up the middle, ran through defensive back JoJo McIntosh and fell into the end zone for the go-ahead touchdown. 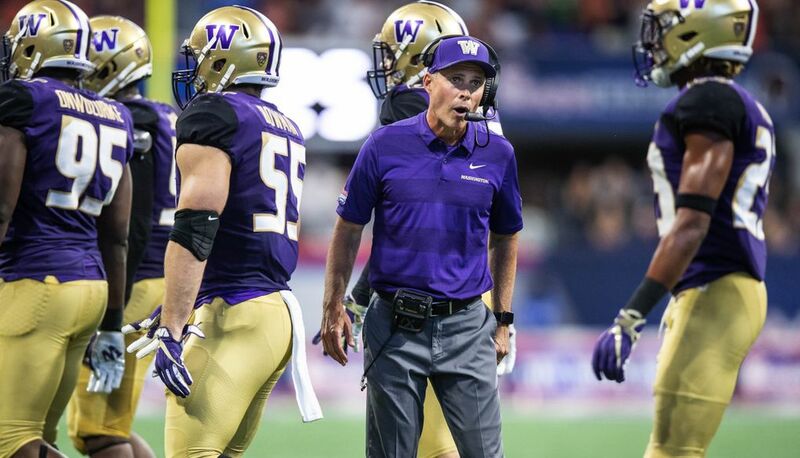 In the end, Washington’s red zone inefficiency was too much to overcome.